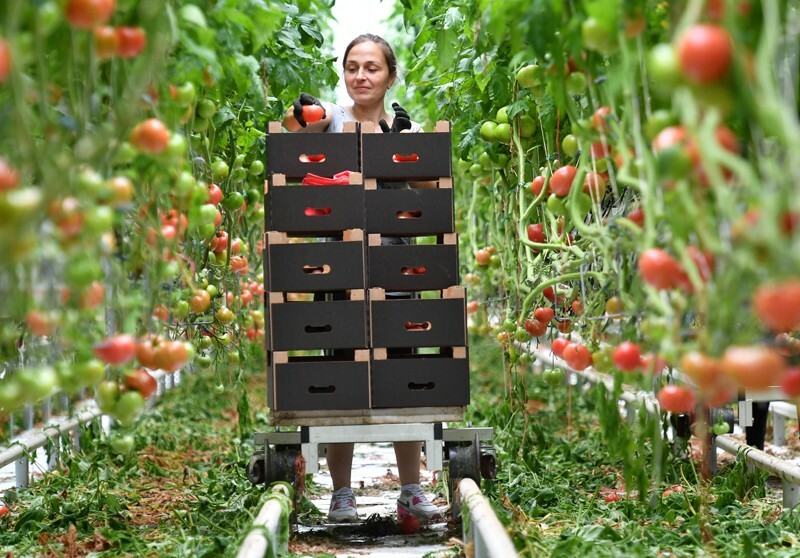 The world produces some 800 billion tomatoes each year — but how many of them are worth eating? Thousands of years of breeding have produced a fruit that often suits farmers and sellers more than consumers. Vines now grow in an orderly fashion, and produce lots of tomatoes that stay in place until they are harvested and are firm enough to be shipped long distances. But, in too many cases, studies have confirmed that flavour and nutrition have got lost somewhere along the way. Plant scientists are on the case. This week, three papers from research groups around the world detail attempts to make a new type of super-tomato: one that does not sacrifice taste for convenience. To do this, the researchers used CRISPR–Cas9 gene editing, which allowed them to modify specific genes in wild relatives of tomatoes. The result — according to a scientist who has tasted one of the fruits — is an “aromatic” tomato that could re-energize taste buds. The studies are a demonstration of the fruits of decades of painstaking plant-genetics research: a cupboard full of genes with known effects, that can each be adjusted to turn an unruly wild plant into a valuable domesticated one. The work serves as a reminder of the value of basic research into plant growth and development. And it shows how other useful traits could be introduced in other crops. One group edited a wild relative of the tomato called Physalis pruinosa, which is grown in Central and South America (Z. H. Lemmon et al. Nature Plants 4, 766–770; 2018). Its berries are tasty and slightly sweet, but its sprawling growth pattern and tendency to drop its fruit onto the ground make it ill-suited for large-scale agriculture. The edited plant was more compact, and produced larger fruits. The other two groups tinkered with a relative called Solanum pimpinellifolium. This species is stress tolerant and resistant to the commercially devastating disease bacterial spot, but the researchers sought to boost the size and attractiveness of its fruits, while making plant growth easier to control (A. Zsögön et al. Nature Biotechnol. http://doi.org/cvf2; 2018; T. Li et al. Nature Biotechnol. http://doi.org/cvfz; 2018). They aimed to combine the benefits of S. pimpinellifolium with the features of modern tomatoes that appeal to farmers and consumers. The researchers also laboured to increase the nutritional value of their new tomatoes: first, by boosting the levels of lycopene, a carotenoid linked to health benefits; and second, by focusing on a greater vitamin C content. To achieve the same product through conventional breeding would have taken decades, says Jörg Kudla at the University of Münster in Germany, a lead author on one of the papers. Instead, it took his team three years. It’s an example of science serving a need of society — and one that highlights the flawed steps the European Union is taking that will threaten such work in the future. In July, the European Court of Justice ruled that foods produced by CRISPR–Cas9 gene editing must be bound by the same onerous regulations as genetically modified crops. The resulting mandatory tests and trials will massively increase the cost of developing a commercial product, which in turn makes funding for research on such products less viable. The expense is one reason why genetically modified crops have so far yielded little benefit for consumers: because it has cost so much to produce such plants, companies focus on developing commodity crops and traits that appeal to farmers. Kudla has grant applications for up to €2 million (US$2.3 million) now under review to fund research related to his gene-editing work. But funders have a responsibility to spend their cash in ways that might benefit taxpayers, he notes, and if such crops have no commercial future in Europe, it might be a struggle to justify paying for the crops’ development. The long-awaited European court decision puzzled many researchers, because the technique involves gene edits that merely disable a gene, rather than rewriting it with a specific sequence. Scientifically, advocates see this as being similar to using a chemical or radiation to generate mutations and then screening the plants for a desired trait — which is not classed as genetic modification. But with CRISPR–Cas9, researchers can generate the mutations in specific genes, without having to screen thousands of plants for each trait they want to introduce. The ruling came as a blow, particularly because, in January, an advocate-general to the European court argued that such crops do not need the same scrutiny as conventional genetically modified crops. And it highlights the degree to which researchers are at odds with officials on genetic modification in Europe. Scientists and supporters must keep up their efforts to advocate for cutting-edge research. Meanwhile, perhaps a better-tasting tomato could help to bring more policymakers on side.